Looking for Children’s Magical Entertainment? 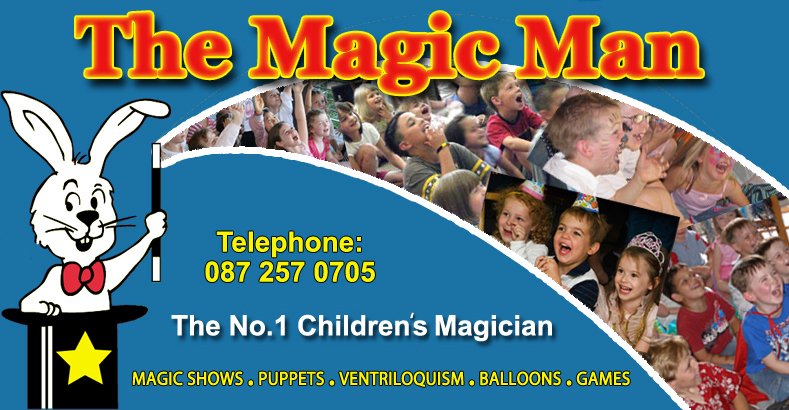 Magician John – “The Magic Man” offers a variety of entertainment options suitable for birthday parties, weddings, christenings, schools, summer camps, fêtes, fairs and family days. John’s performances will always make your occasion unforgettable! All the children get involved in making the magic happen, with special attention given to a birthday child. This is a show filled with interactive comedy magic tricks, puppets and ventriloquism. Fun and laughter for the whole family which is guaranteed to leave everyone with lots of happy memories which they will talk about long after the party is over! Here John can present a Comedy Magic Show for children and adults and also, he can ‘mix and mingle’ with your guests, performing Close-Up Magic and Mind-Reading allowing them the opportunity to experience his distinctive and amazing magical entertainment. Never before has the impossible happened so close to them, the magic will literally happen in their own hands! – giving everyone everlasting memories of your special occasion. The Magic Man performs Family entertainment Comedy Magic Shows for audiences of all sizes, they are highly interactive and exciting and promise to delight children and adults of all ages. Ideal for larger events, The Magic Man moves around from group to group, entertaining between 2 and 20 guests at a time, while amusing and fascinating the crowd with his extraordinary style of interactive Close-Up Comedy Magic and amazing Mind-Reading. A highly energetic and engaging comedy magic show that can be filled (to suit your requirements) with magic tricks, puppets, ventriloquism, fun and laughter. This wonderful blend of magic and comedy is the perfect option for large groups such as schools, summer camps, fêtes, fairs and family days. The Magic Man will always make your occasion a huge success! 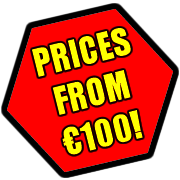 The Magic Man is a fully insured professional magician with many years of experience, performing for audiences throughout Ireland. He will without doubt deliver an amazingly entertaining performance whatever the occasion. The Magic Man is the perfect magician for your next event.